List Price at Contract: $474,985. The Pre and Post-renovation listings can be seen: here. Check out the virtual tour. I live quite close to this house and have sold three other houses (same size and design) on this block over the years. This was one of the last hold out vacant properties on the block. It was rumored to have been vacant for over twenty years due to an ongoing disagreement over an estate. I had also heard rumors that at some point there was a fully grown tree that had sprung up through the middle of the property. One of my neighbors insists that was never the case, though. A few years ago the city went in, secured the property, and again, unsubstantiated rumor, put a new roof on the property. 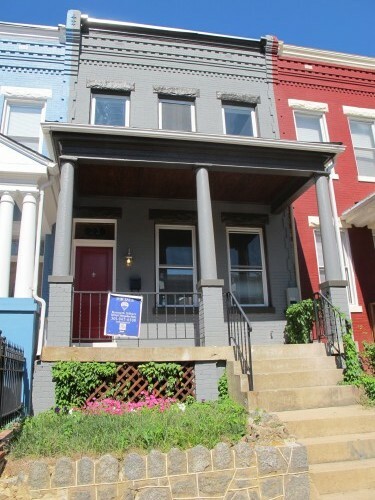 On the original Good Deal or Not (GDoN) post, there was some debate over the comparable sales in relation to this house. This is a very challenging block to comp because the houses on this part of the block tend to be smaller than those on surrounding blocks and even just up the street. What most agents and appraisers are not aware of is that these particular houses had dirt cellars that are a fraction of the footprint of the house. One of my clients a few doors down had this type of space and actually dug out his entire basement during the renovation. In this case, the basement was not dug out or even finished. The house was also missing (in relation to the other properties of similar design and size) the ubiquitous sleeping porch addition, so in this case the house was not as deep as those surrounding it.